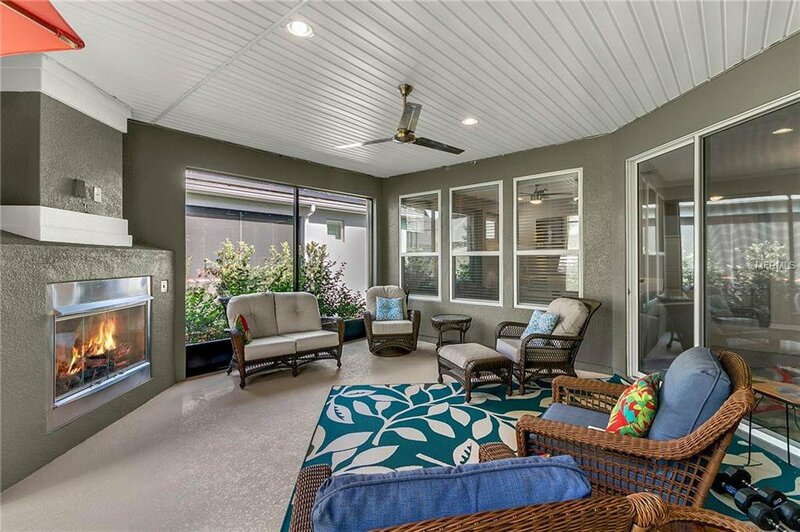 Take a look at this beautifully upgraded Heather Model in brand new condition with full solar power for energy efficiency. 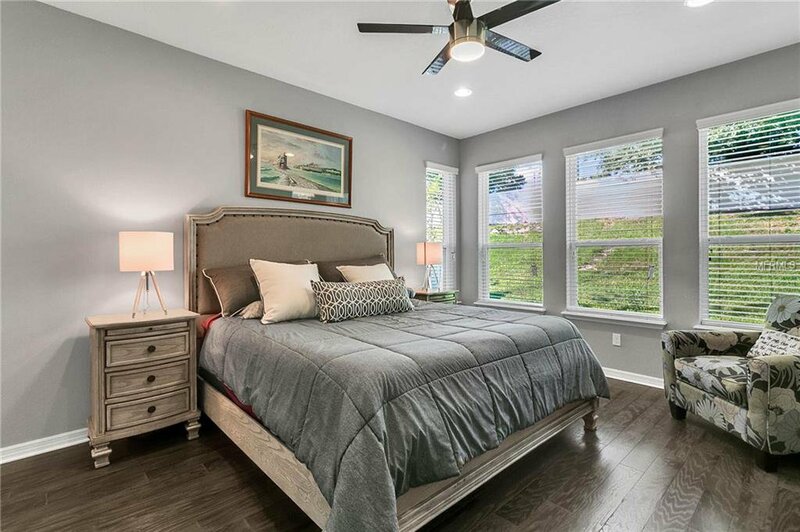 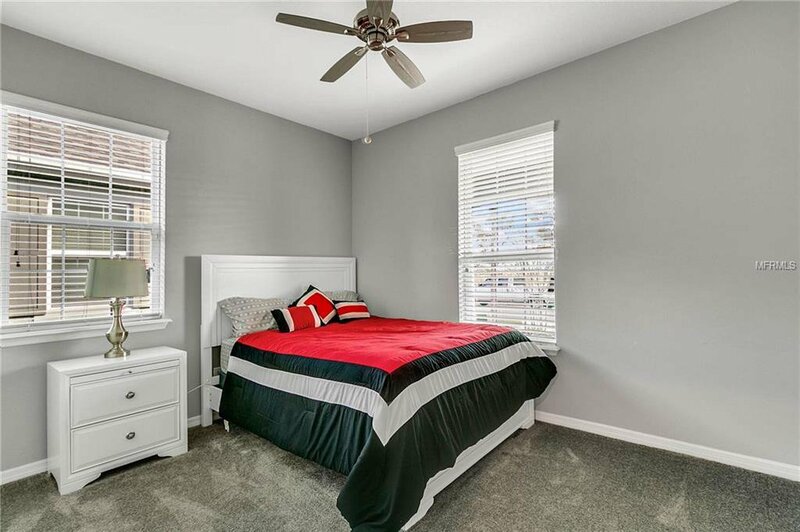 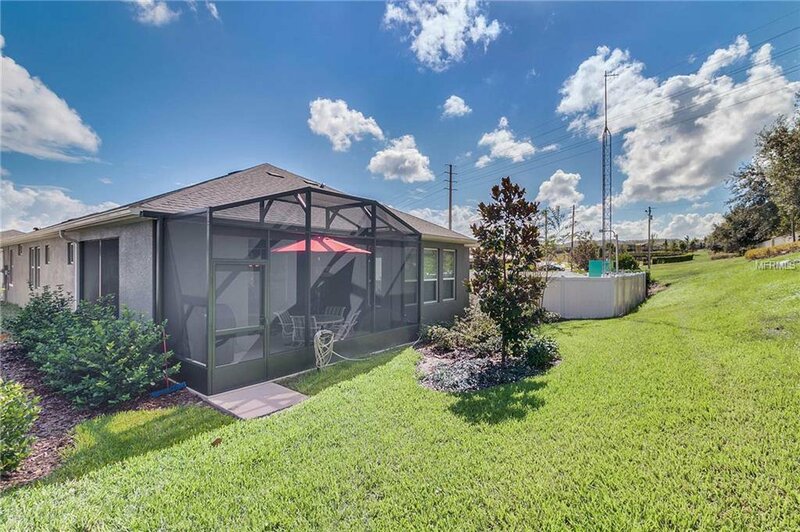 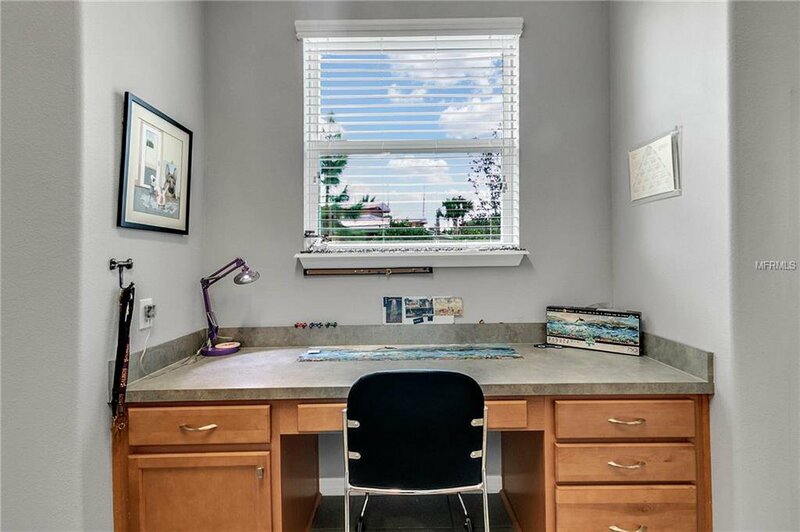 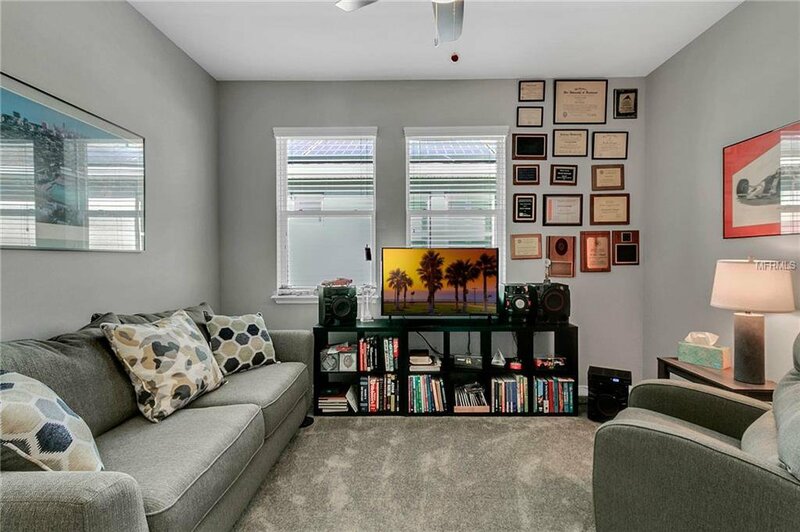 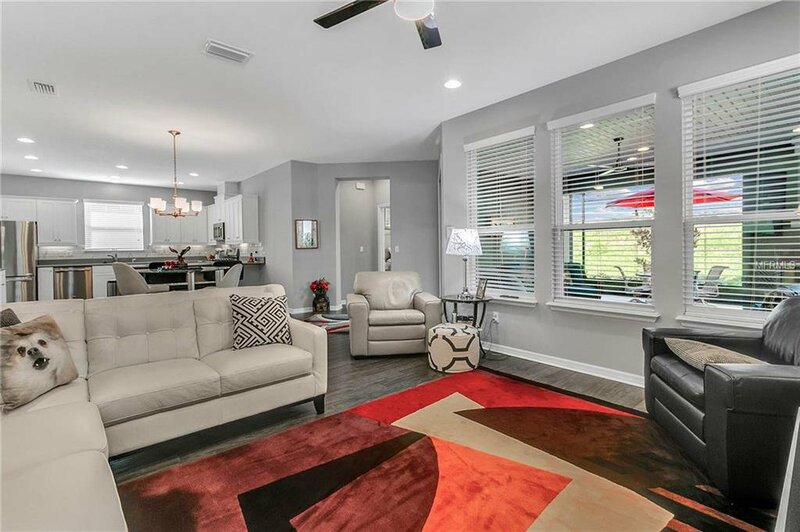 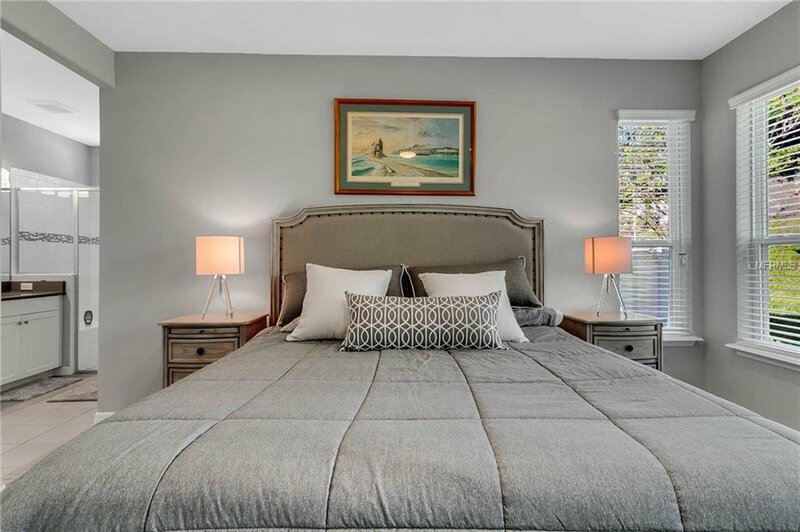 This 2-BR, 2-BA home also boasts a den with french doors adding flexibility for a third/guest bedroom. 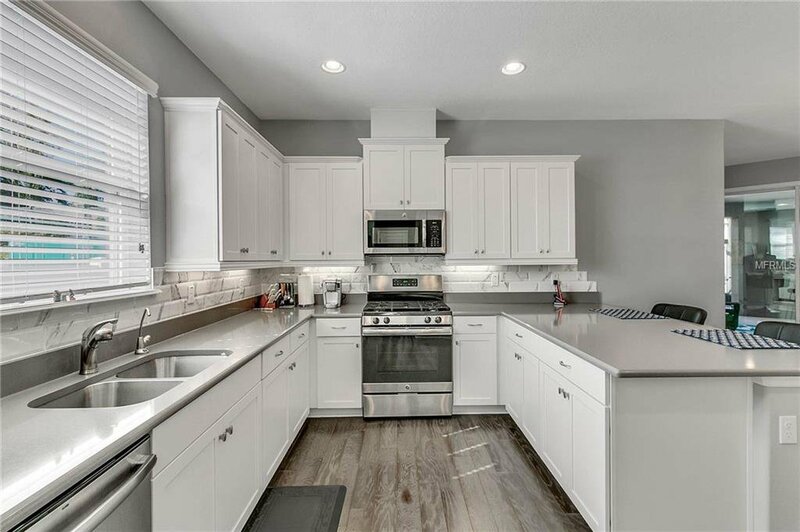 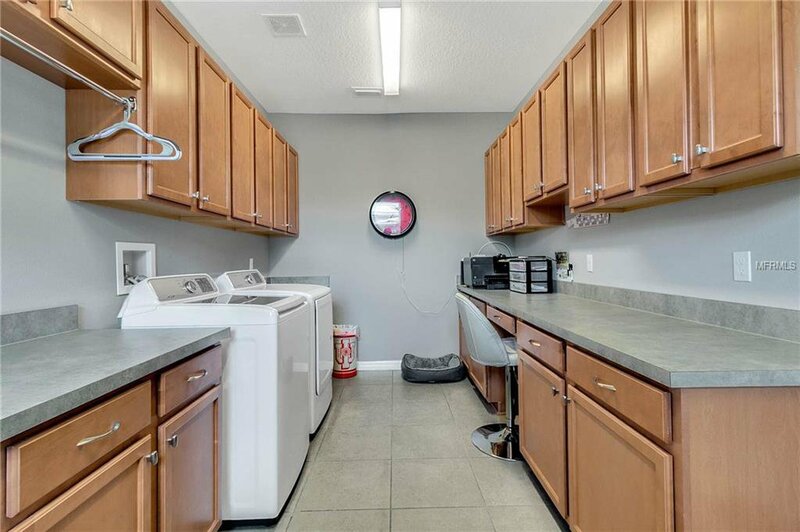 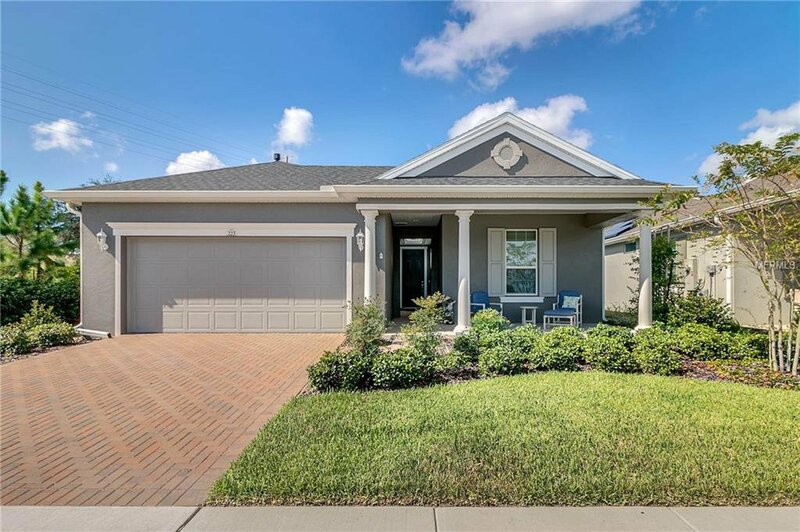 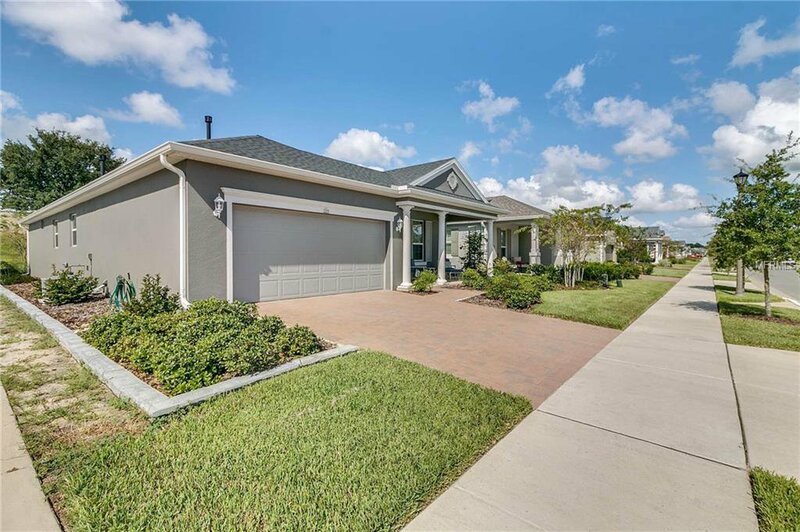 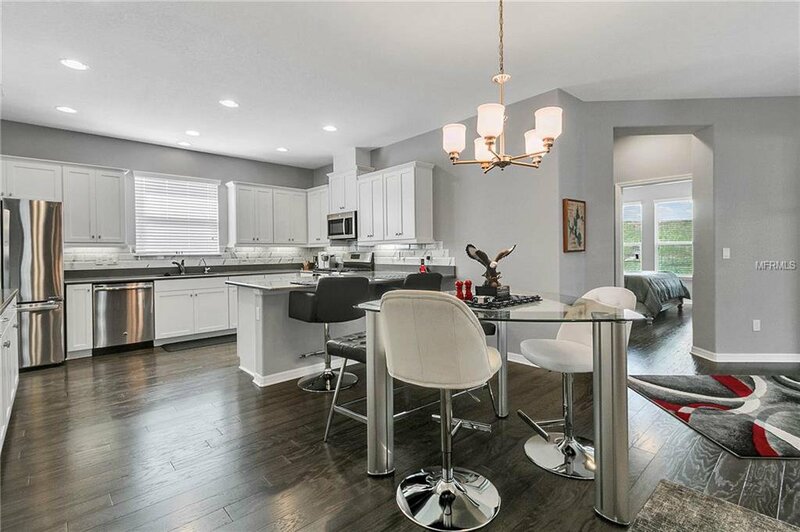 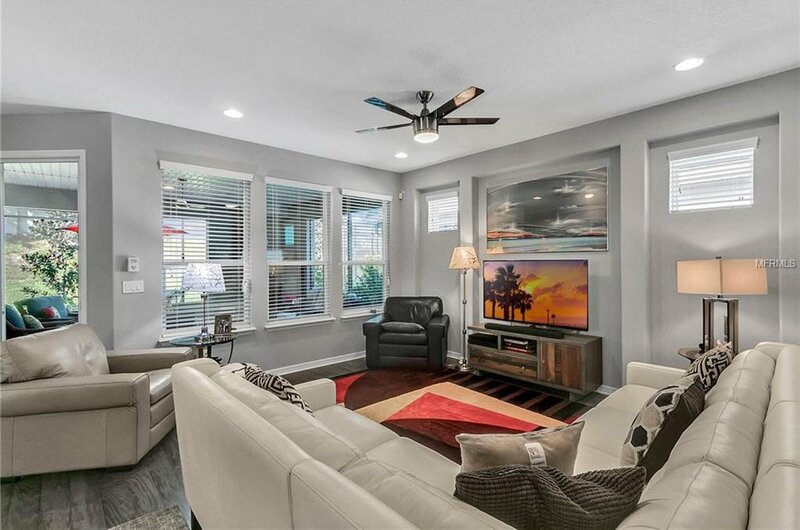 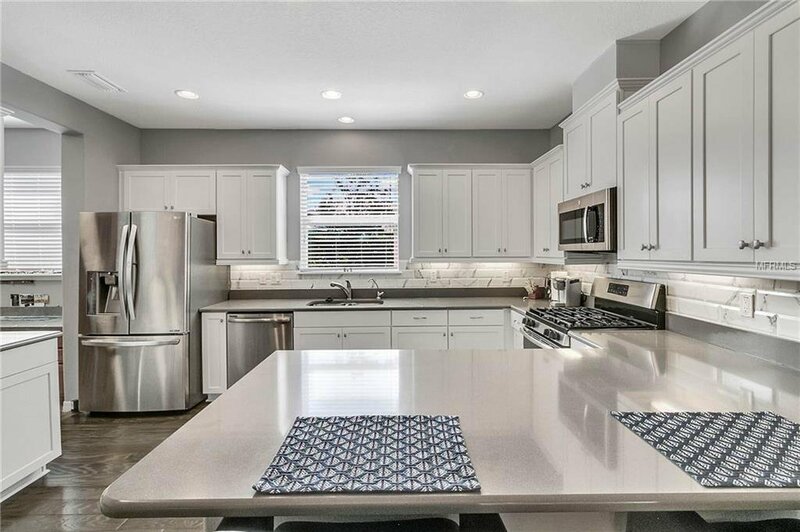 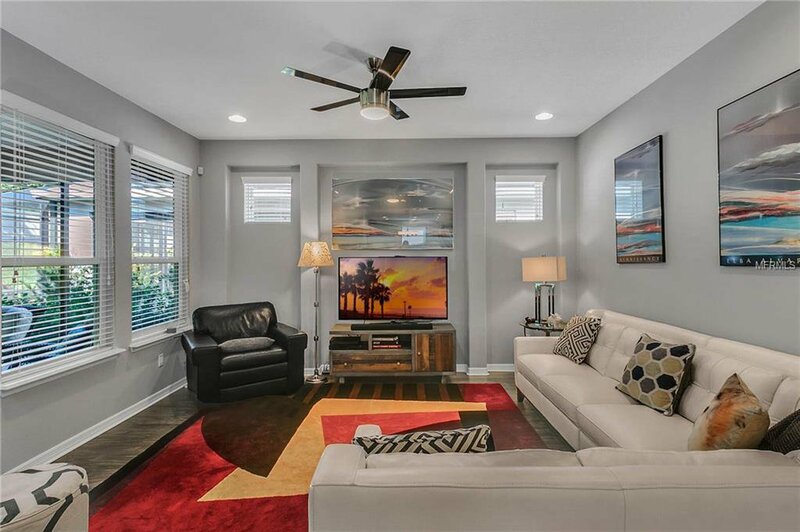 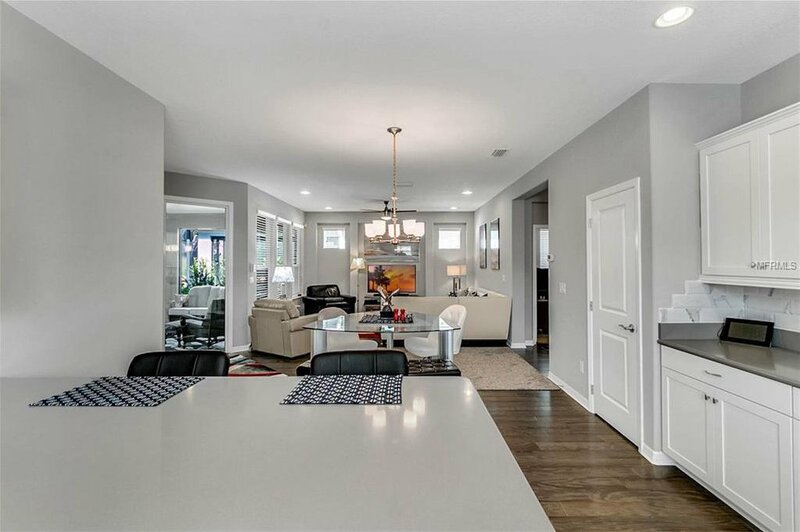 This beautiful home features a gourmet kitchen with 42" cabinets, under cabinet lighting, corian countertops, stainless-steel appliances, a closet pantry and a gas stove. 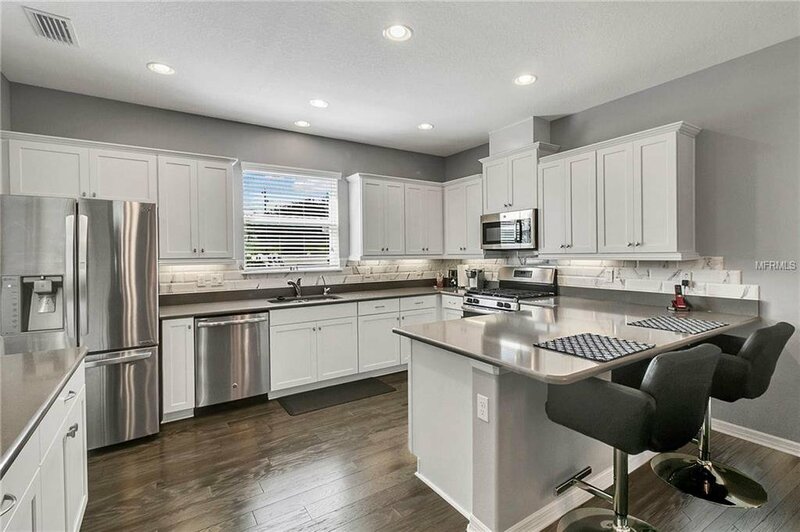 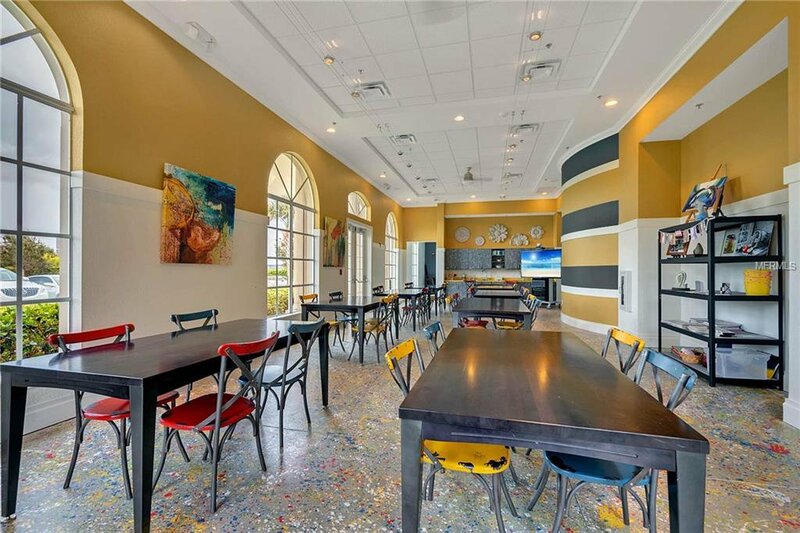 In addition to the dining room, there is additional eating space in the kitchen. 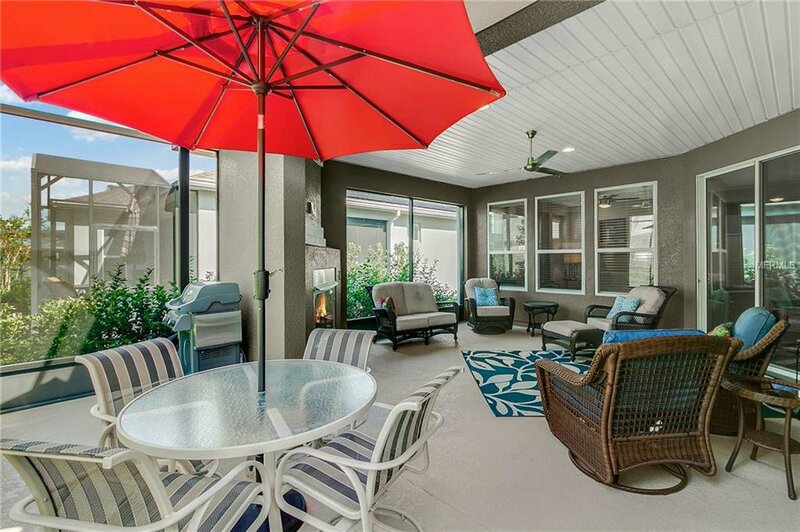 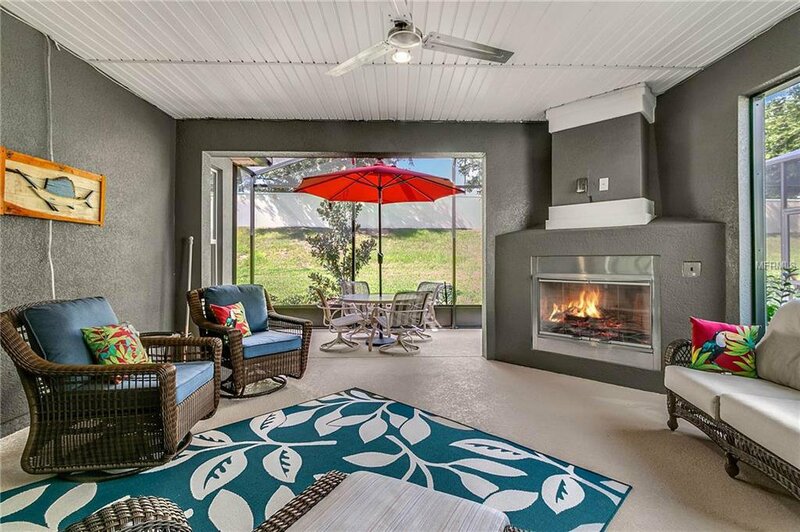 Off the living room leads to the rear screened in lanai that has a 6.5' x 18' covered extension for year-round use and includes a built-in gas fireplace with a gas outlet added for the grill. 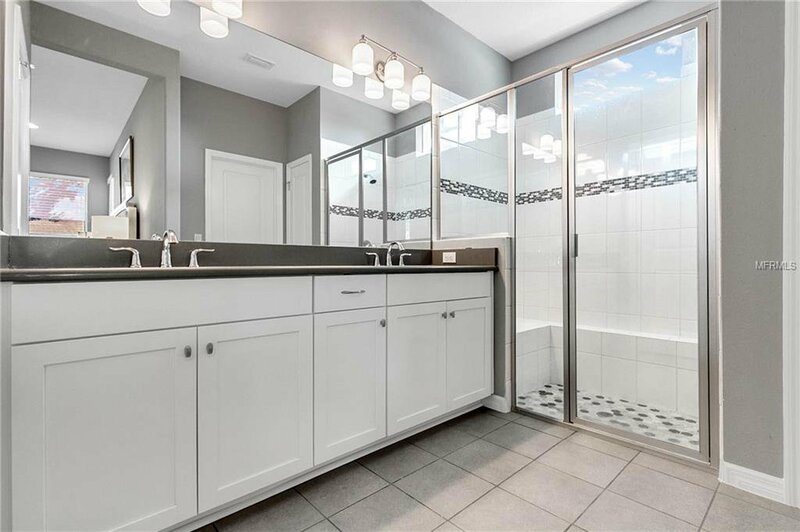 The master bath has corian countertops, his and her sinks and a glass enclosed shower that includes a bench and upgraded tile.The separate, upgraded smart space off the kitchen includes the laundry room, a built-in desk, lots of cabinet space and has plumbing available for a utility sink. 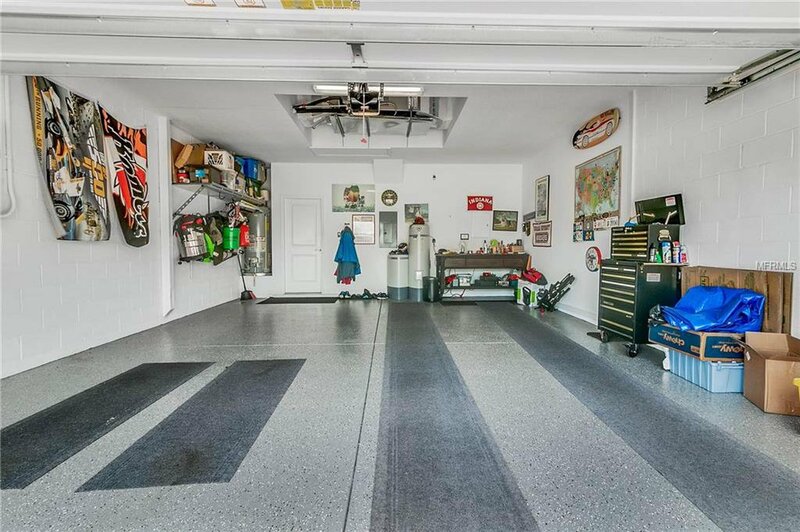 The garage has an upgraded 2’ extension, built in shelving and epoxy flooring. 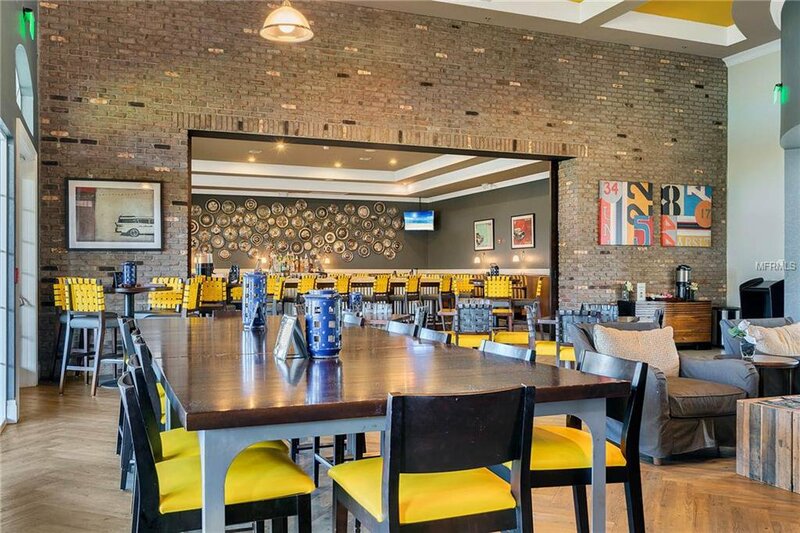 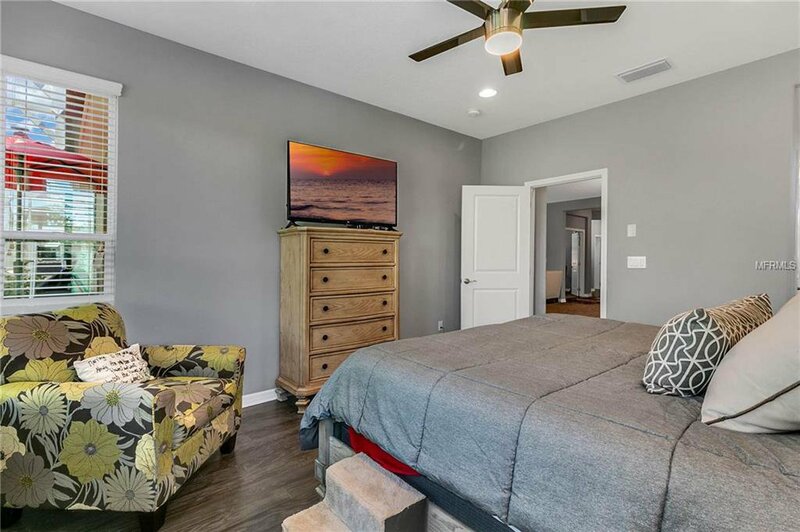 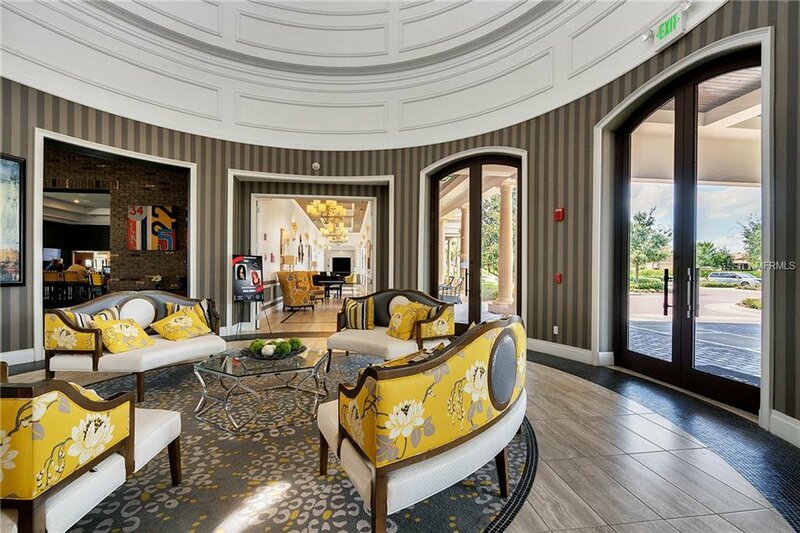 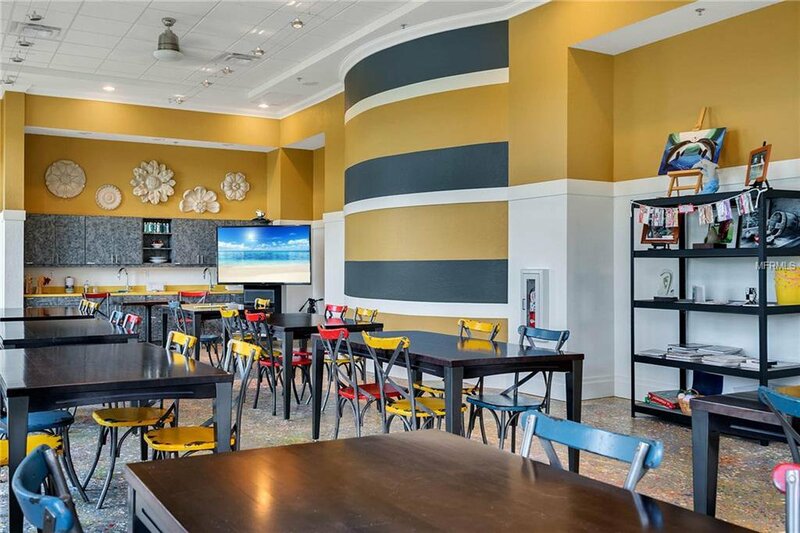 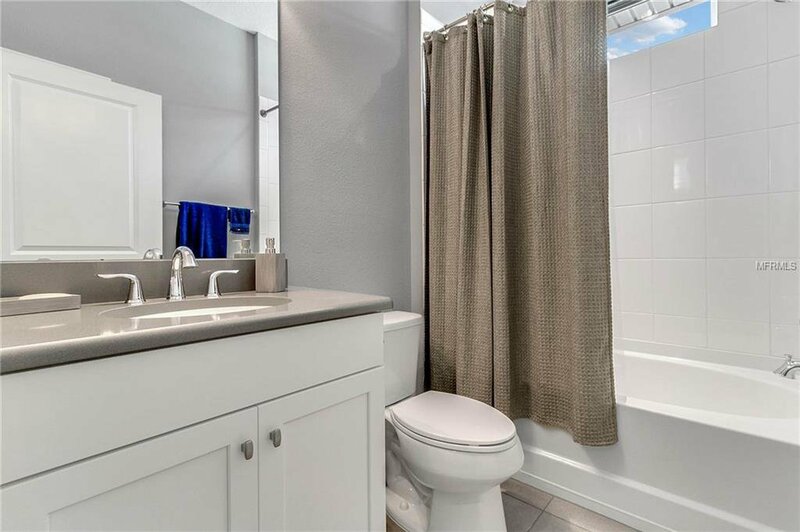 Additional upgrades include a water purifier, remote control fans in every room, light motion sensors in the bathrooms, recessed lighting, upgraded ceramic tile and wood flooring throughout every room except the bedrooms and den. 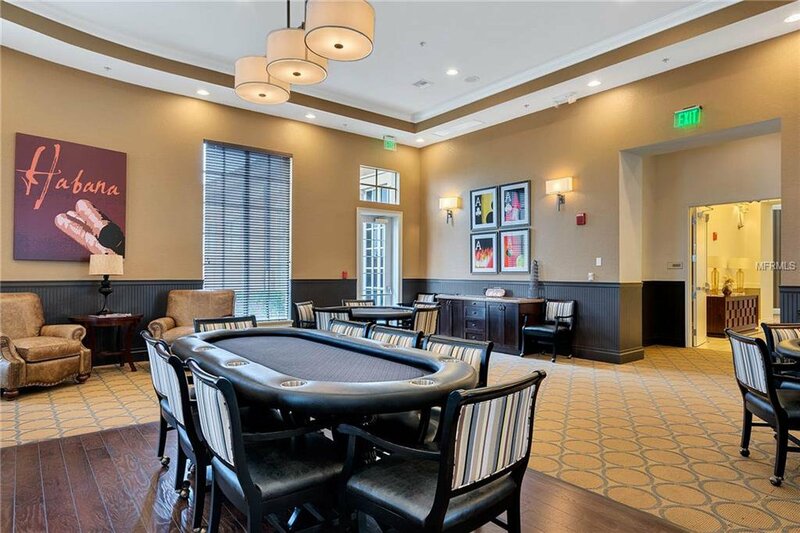 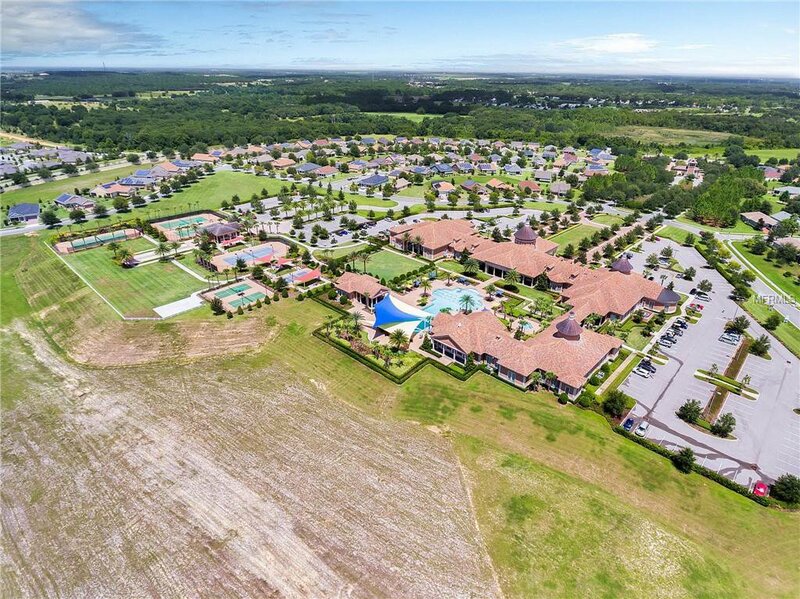 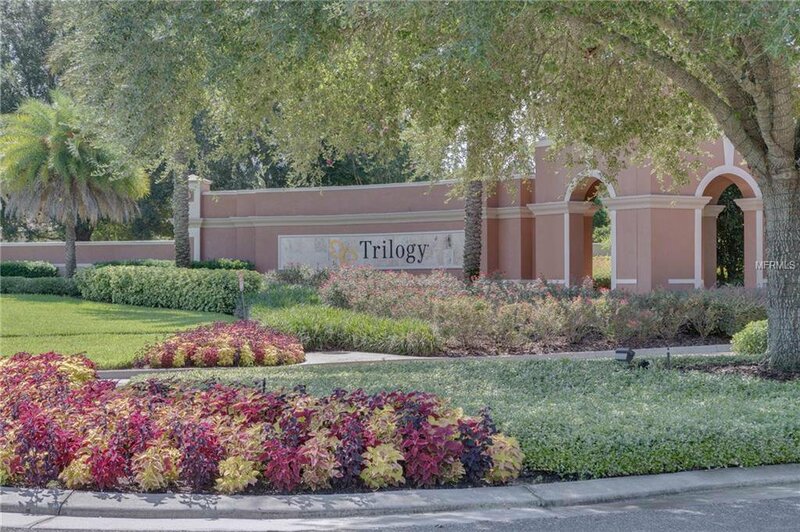 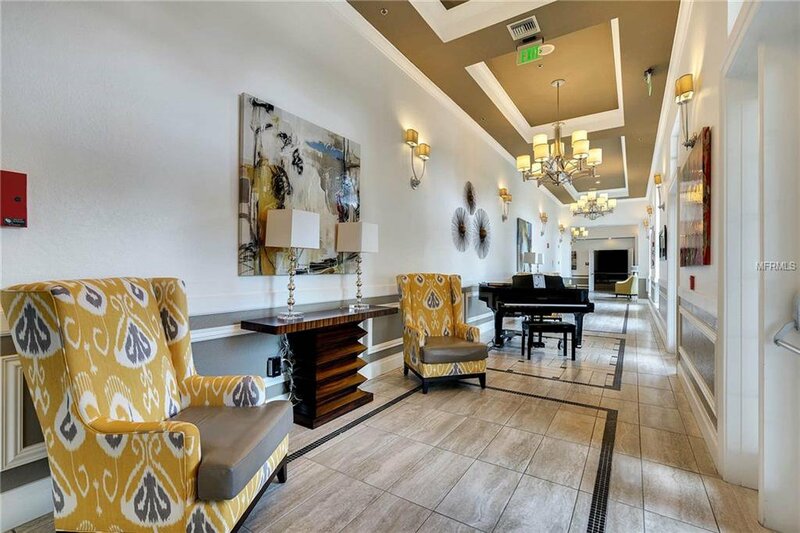 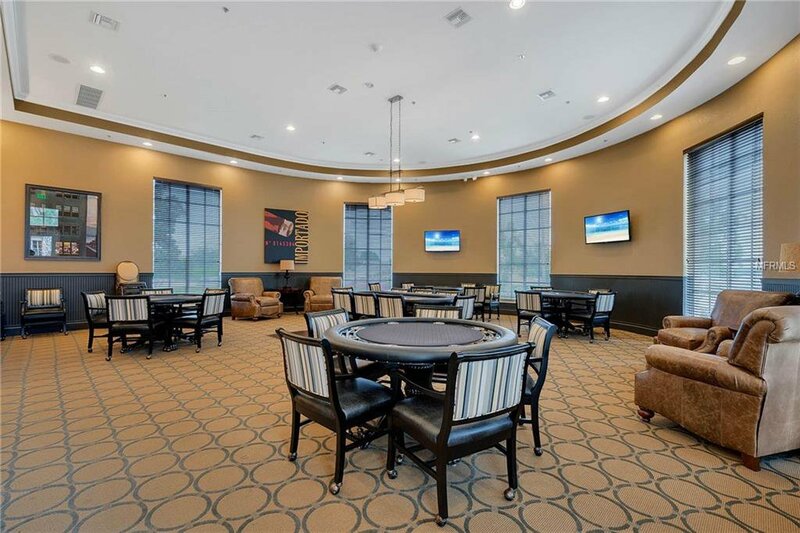 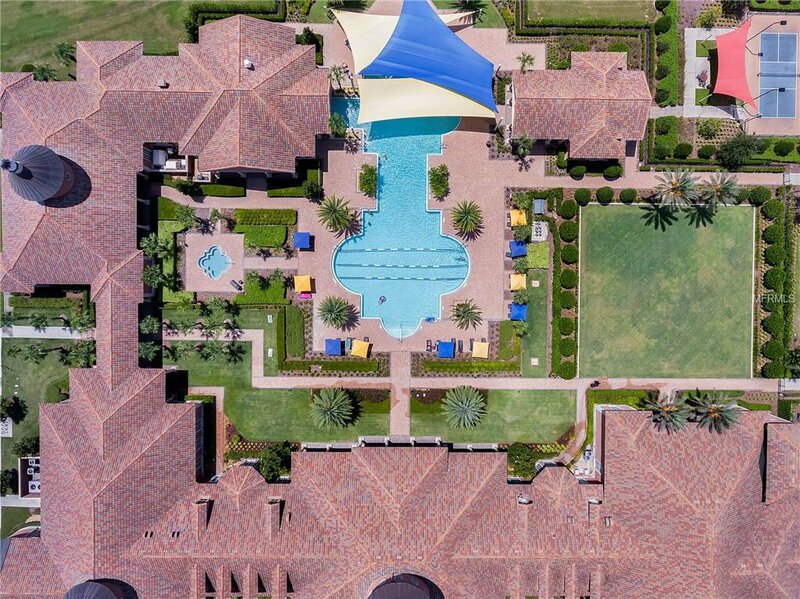 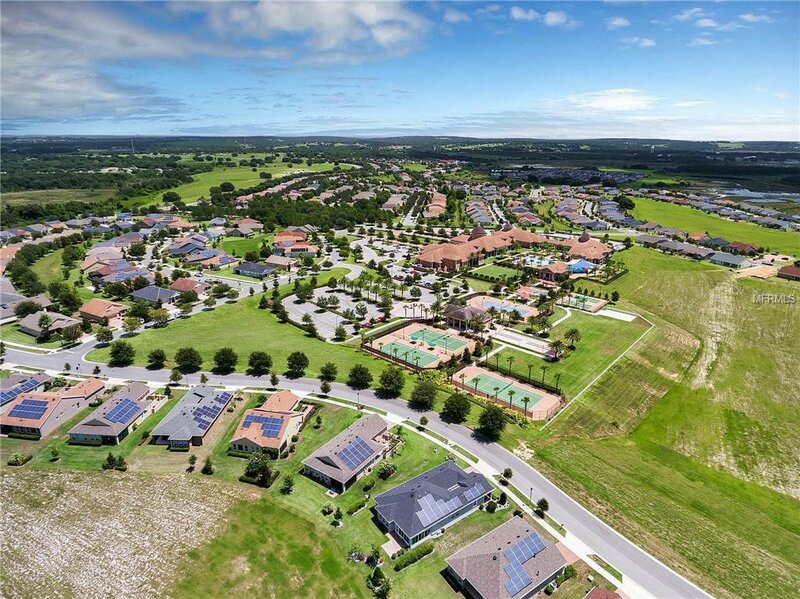 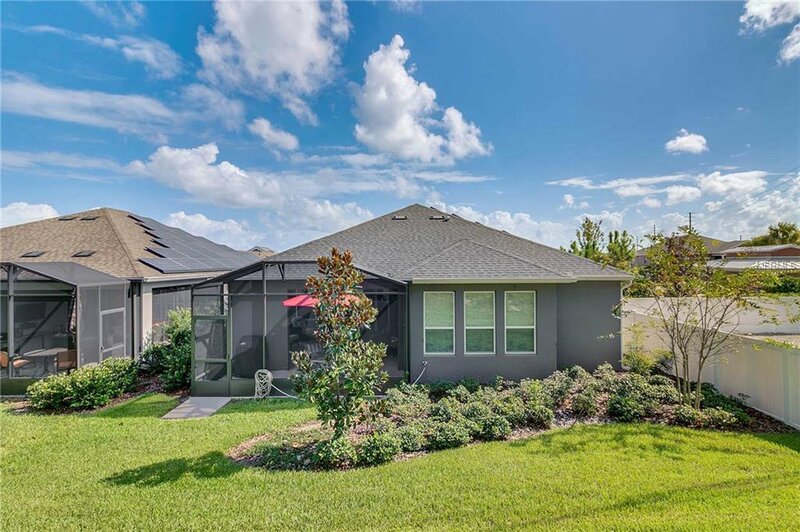 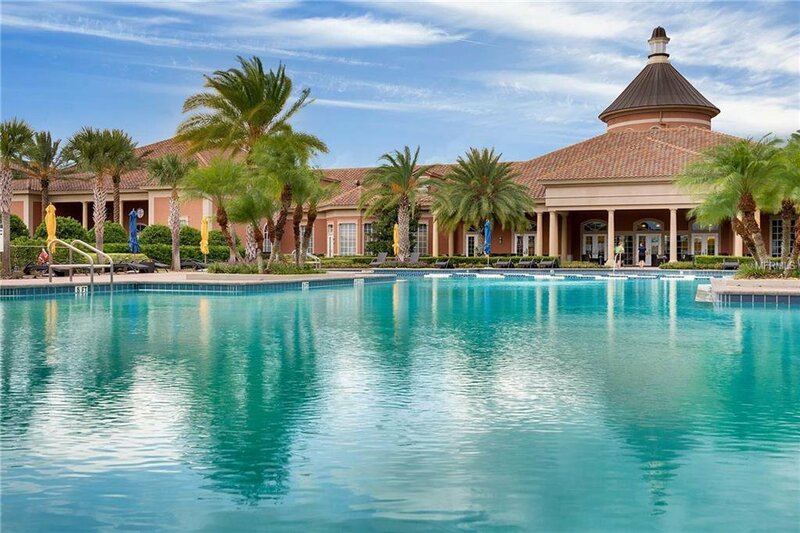 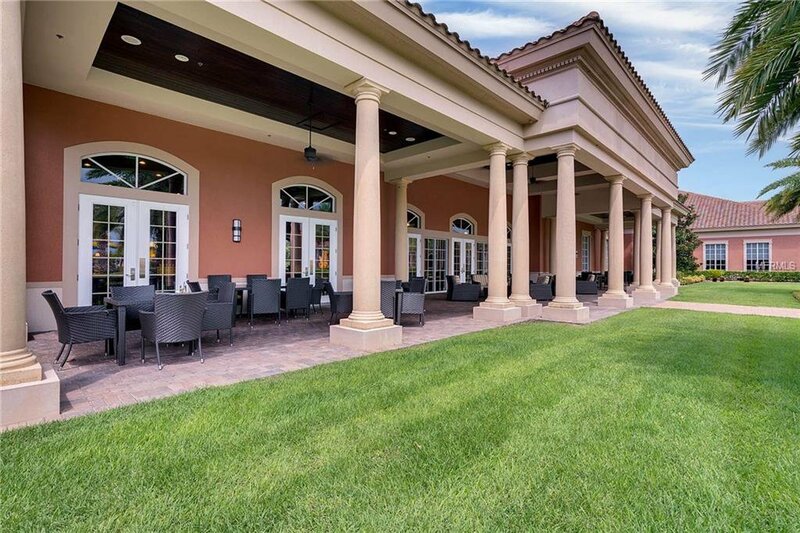 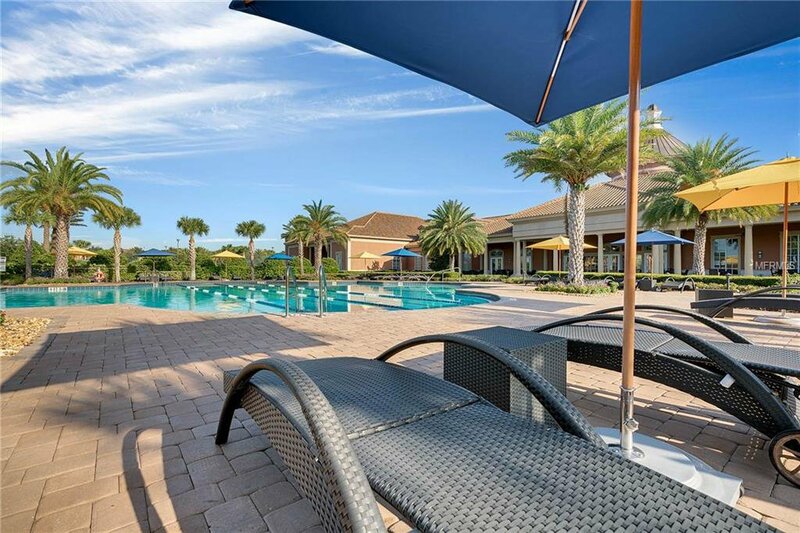 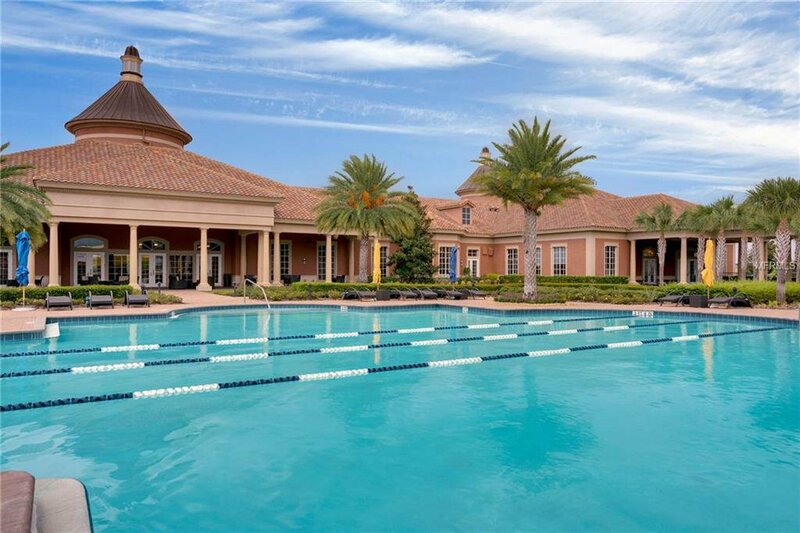 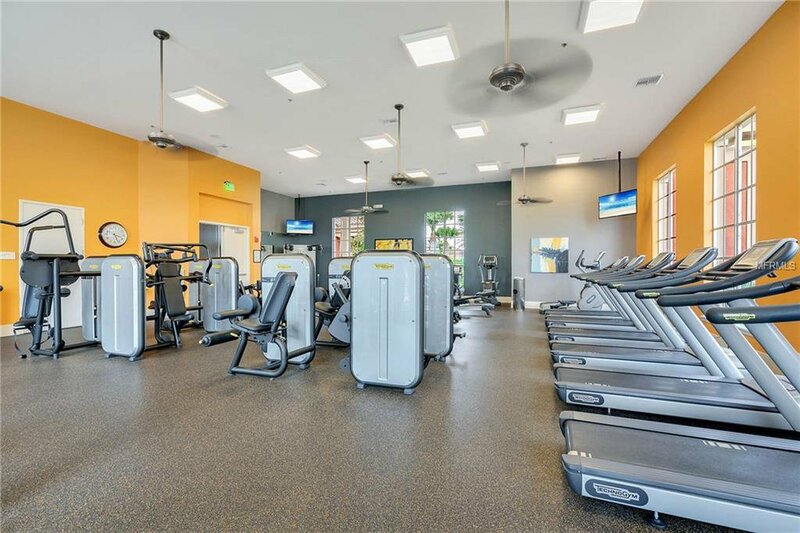 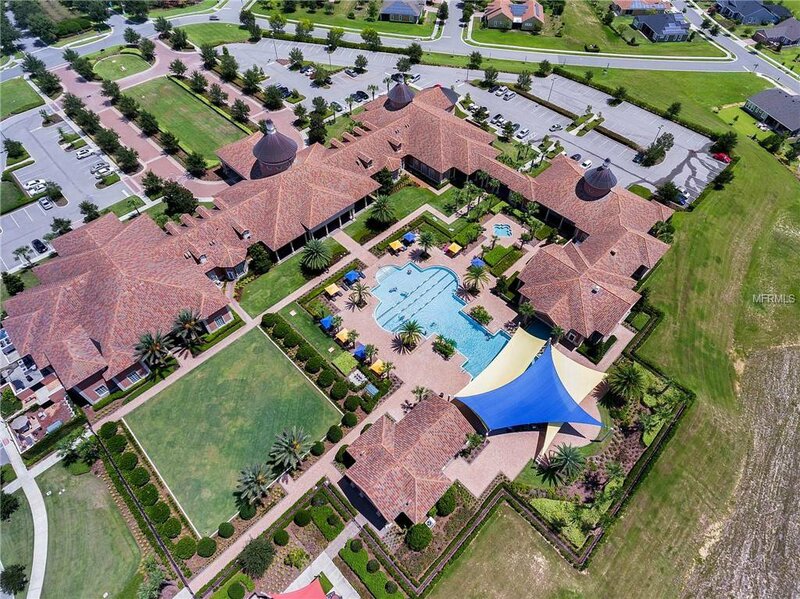 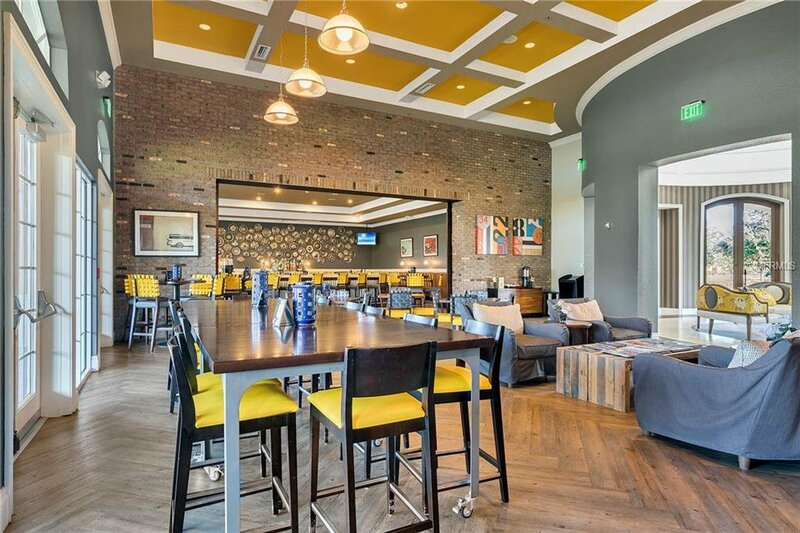 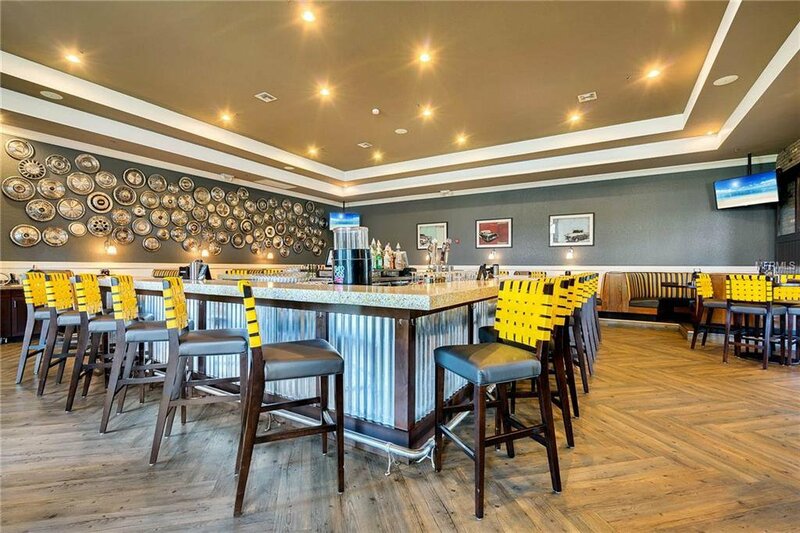 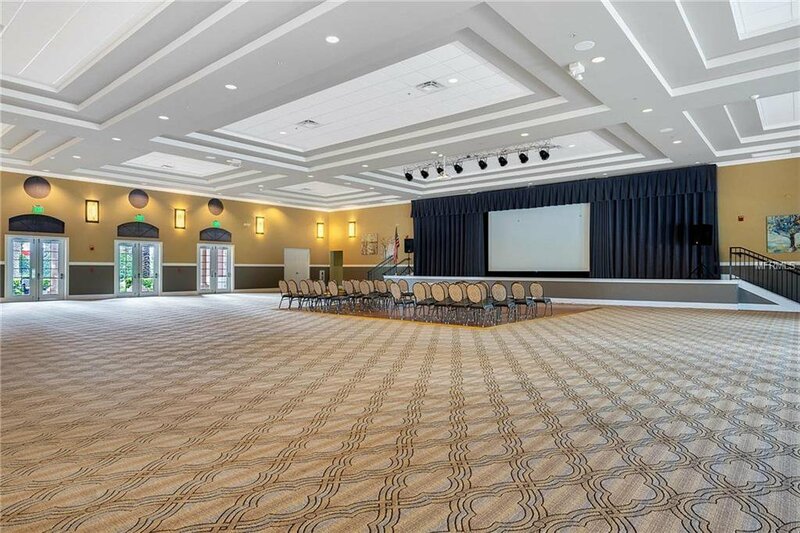 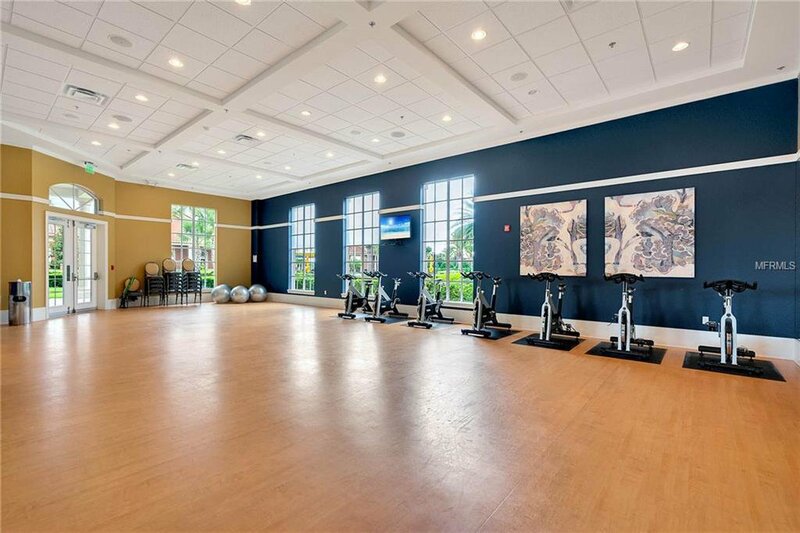 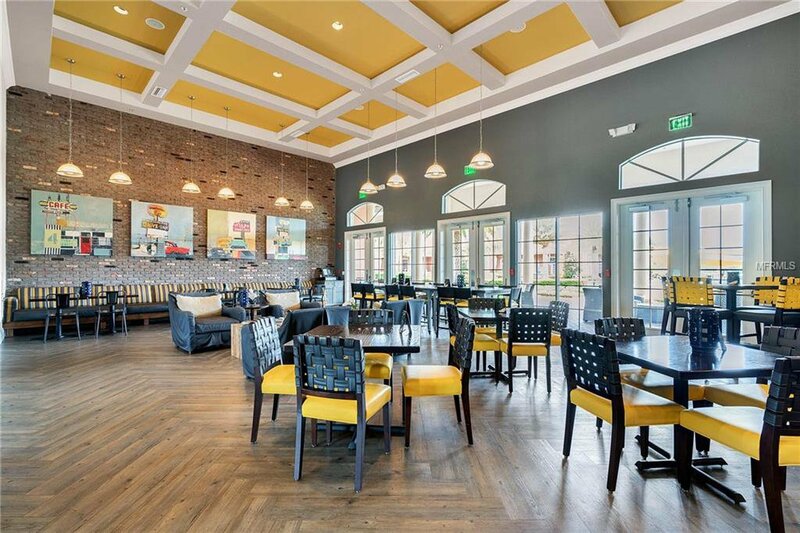 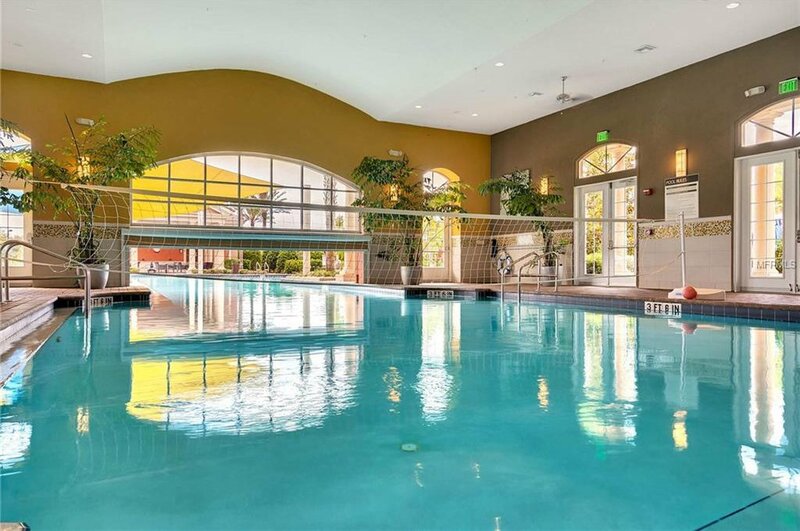 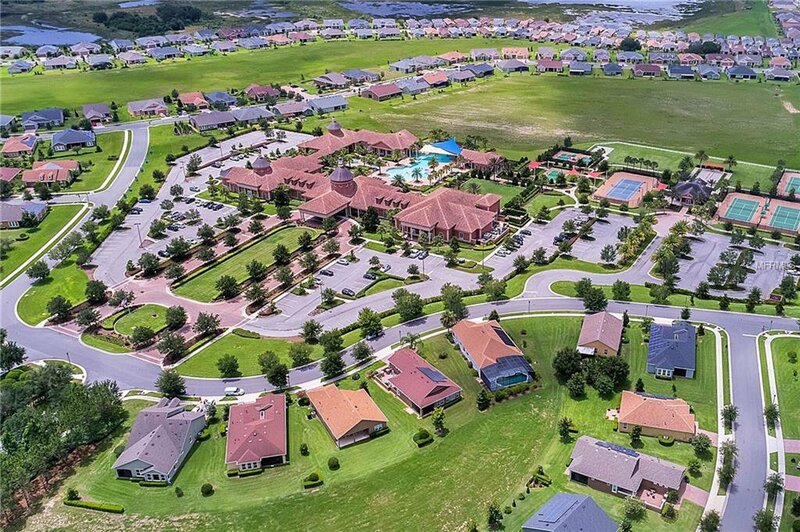 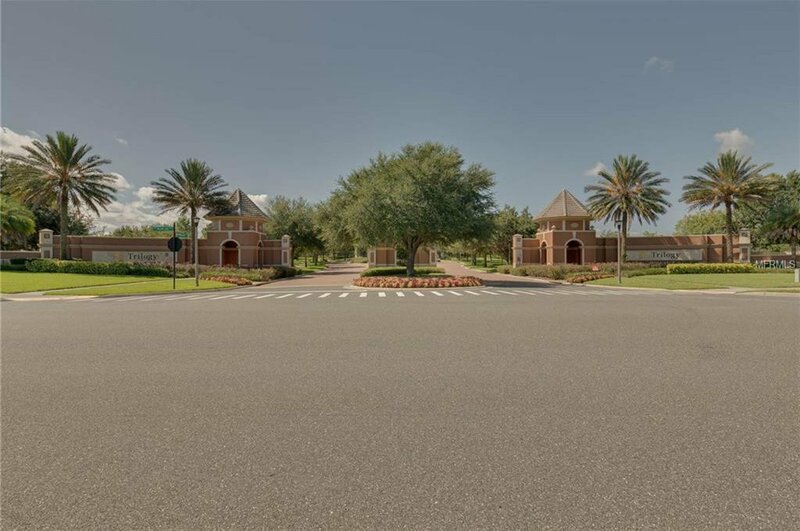 HOA includes: guarded gate, internet, cable, lawn care/landscape maintenance, access to the 57,000 sq ft. community center- the Magnolia House, fitness center, indoor/outdoor pool and hot tubs, bocce ball, pickle ball, tennis, horseshoes and so much more!